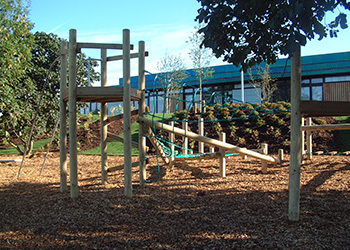 St. Andrews Primary is another local school that we love working alongside, and have done for years. 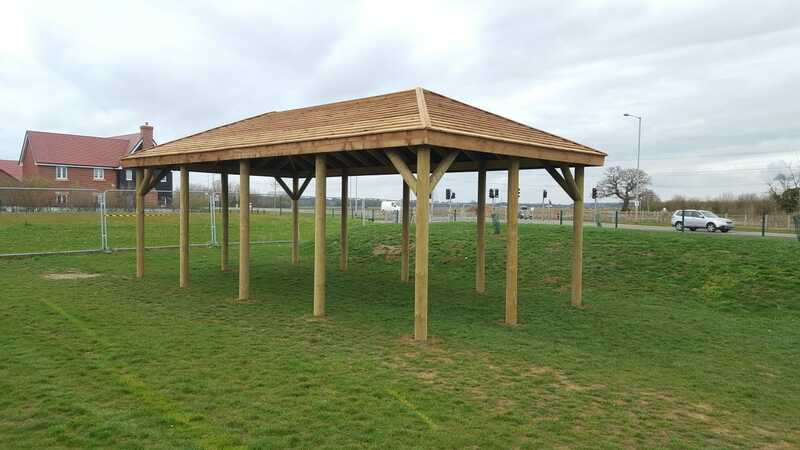 After constructing canopies, shelters and play areas across their two sites in Biggleswade, we were very happy to be invited back to quote for their next project. 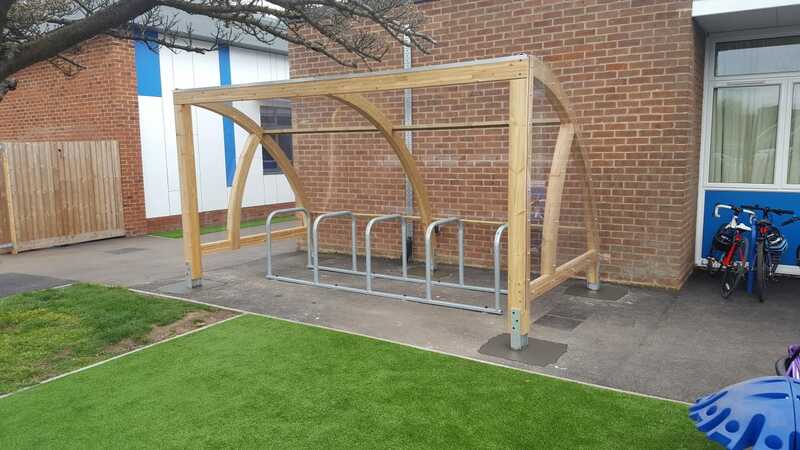 Mrs Hunt’s brief was to create a large sheltered space on their school field, that would offer shade in the summer and protection from the rain in winter. We proposed an 8m x 4m design, complete with a waterproof-lined roof to ensure it is watertight. 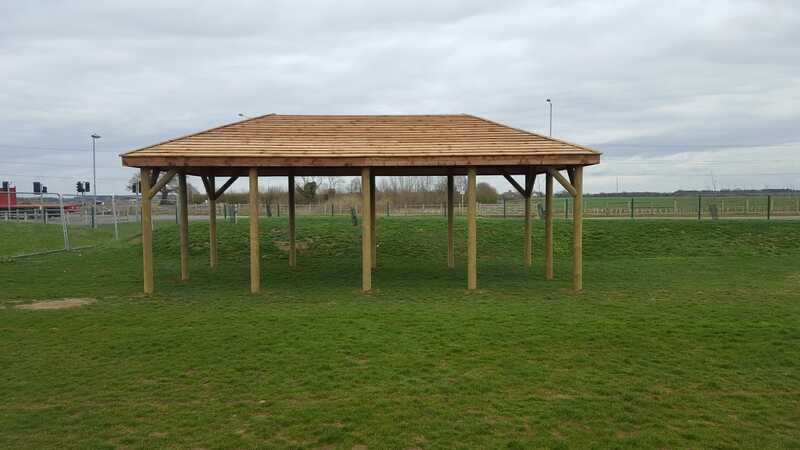 Our timber construction complements their field nicely, with a muted and natural-looking design. 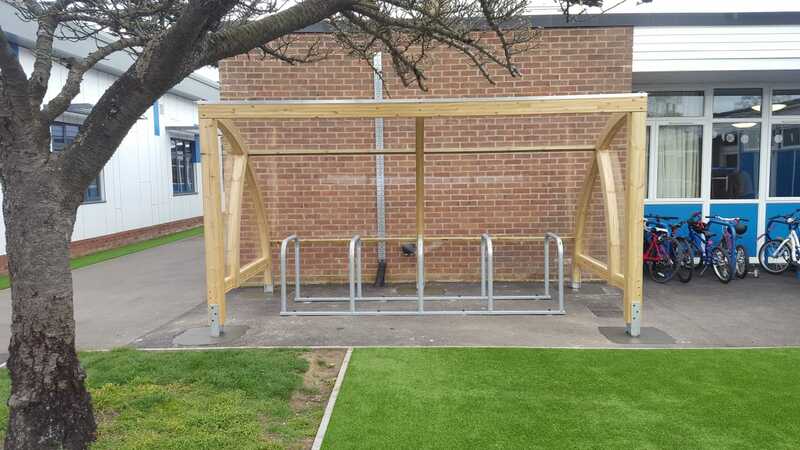 We also recently finished off one of our lovely quadrant bicycle shelters, which schools love if they are looking for an attractive and premium option to set themselves apart from the functional steel versions. Our 4+m wide model is suitable for ten bikes.